Somewhere along the way traditional publishers got lazy. They realized it was a relatively easy matter to shove off the drudgery work of wading through piles of unsolicited manuscripts to literary agents. Make them the gatekeepers. Then, when an agent stumbled across a work of some merit, he would bring it to a publisher’s attention and things would start to happen, albeit very slowly. But the rise of independent epublishers is changing the game for everyone. Traditional publishers who prefer to continue to sit inside their ivory-walled towers will soon fall over dead in that rarefied air. A groundswell revolution is underway. 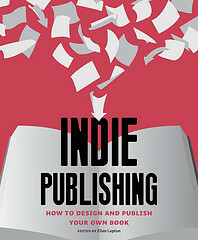 The tools to the publishing trade are now within reach of every man and woman epublisher with a book to disseminate. 1. Quit pretending like no one is buying ebooks. Get out there and start your own ebook imprint because the first one to do it is going to be the one that survives. 2. Re-vamp the royalty paying structure. The system that has gone before will not work any more. When an independent epublisher like Amanda Hocking can sell a few million books on her own and keep 70 percent of the cover price, where’s the incentive to sign with a major publisher for less than 20 percent? 3. Pay attention to the ebook best seller lists. Eventually Stephen King, James Patterson, and JK Rowling are going to die. The next generation of amazing writers will be found out there amongst the ebooks. 1. Ebook prices are too high. 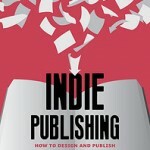 The few publishers who venture into the ebook arena are still pricing their books up near ten dollars. Sorry. The going rate for a fiction ebook is three dollars or less, and .99 cents is a REALLY popular price point. No one pays ten bucks for a fiction ebook. 2. Ebooks should be released at the same time as the print version. The ebook and dead tree book markets are completely different. One doesn’t siphon sales from the other. Given a chance, they would work in conjunction to boost sales and awareness even more. 3. Stop boycotting the party. Ebooks are here to stay. Might as well dive in and enjoy the fun. Have you bought a fiction ebook in the past month? How much did you pay for it?